In the real world where life doesn’t always seem to go according to plan, there is little wonder why humans love the idea of magic. With the help of fantasy novels such as Harry Potter and The Hobbit, people are able to break away from daily mundanes and be part of a world that has mystical creatures, powerful wizards and not to mention, create magic. 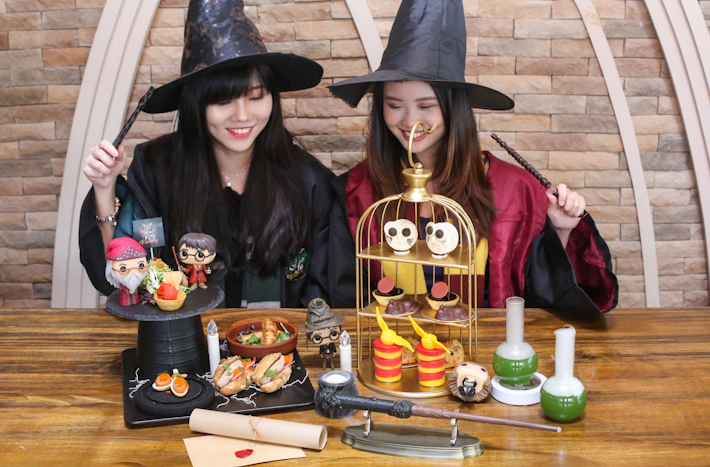 If getting accepted into Hogwarts is a lifetime dream of yours, then you have to know more about Platform 1094, a wizard-themed cafe along Serangoon Road. Managed by the same team that is behind Fresh Fruits Lab, Platform 1094 is where your wizard dreams come true. Besides what you can find on their regular menu, the cafe is introducing an all-new Harry Potter-themed English Afternoon Tea at S$55 for 2 pax where you can enjoy a selection of sweets and savouries that are inspired by the Harry Potter series. Think Chocolate Frogs, Owl Hootdoo Macarons and Turkey Bacon Quidditch Quiche. Platform 1094′s wizard-themed afternoon tea is available from Tuesdays to Sundays between 2pm to 6pm (reservations are necessary). 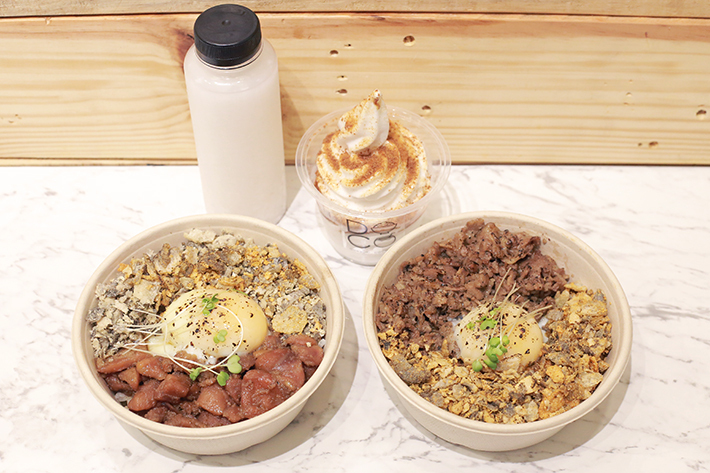 Located at International Plaza, DOCO—short for ‘Donburi Coconut’—is the new kid on the CBD circuit where you can now look to for hearty protein-packed rice bowls and refreshing coconut soft serve. This speciality food kiosk was set up as part of a joint venture between brands, Soi Coco and Fish Sh-nack, of which are known for their coconut and fried fish skin products respectively. Being relatively new, their only offerings thus far comprise two speciality donburi rice bowls next to the vegan-friendly and dairy-free Coconut Shake and Coconut Soft Serve. 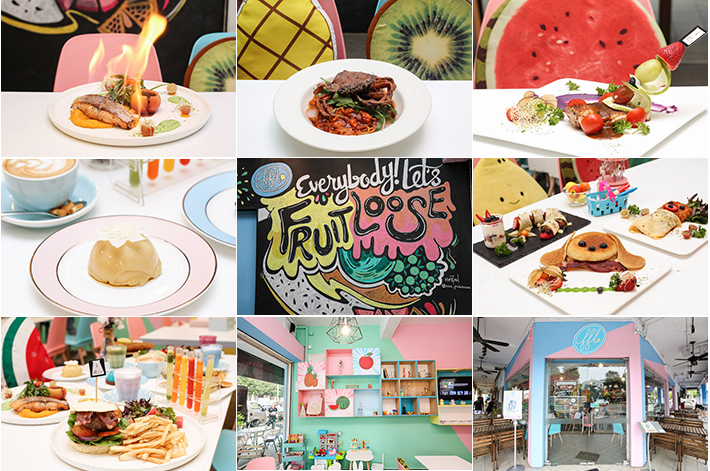 For all of you health nuts who are ‘in love with the coco’, this is perhaps one of the most promising health-centric eateries along the bustling Tanjong Pagar area. From now till the end of the year, lunch sets—which consists of one rice bowl and one coconut dessert—are going at S$11.90 instead of the usual S$13.90. Dessert parlours that open till late are life-savers. Not only are they great for satisfying that midnight sugar craving, they also serve a myriad of sweet treats to brighten your evening after an exhausting day at work. Looking for a place to hang out with your mates after dinner but not up for a beer? You cannot go wrong with a dessert spot. 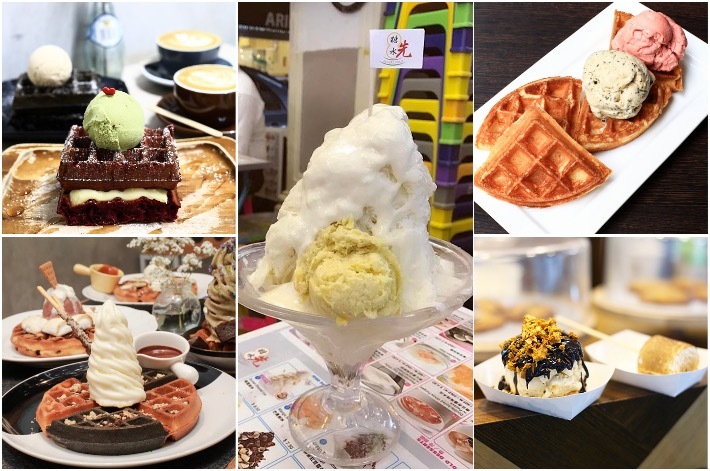 Sure, we may not be lacking in choices when it comes to dessert places in Singapore but where can you head to when the clock strikes midnight? 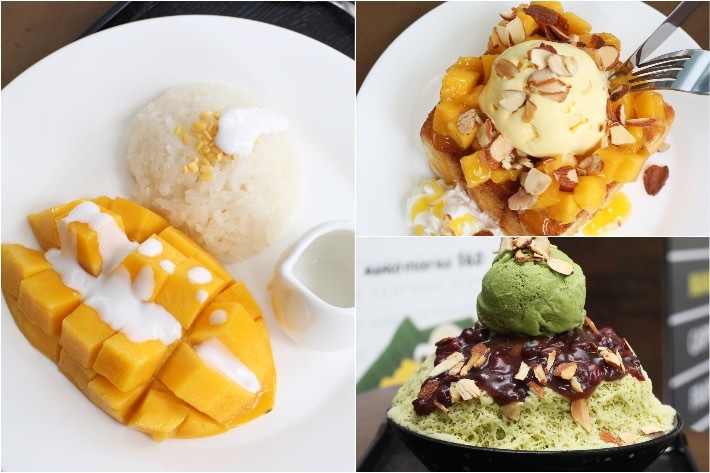 This is where our list comes in handy for all the dessert lovers—it covers all sorts of desserts from ice cream to shaved ice bowls and even the Korean bingsu. Dessert lovers in Singapore are truly spoiled for choice, especially with the vast array of dessert joints available. 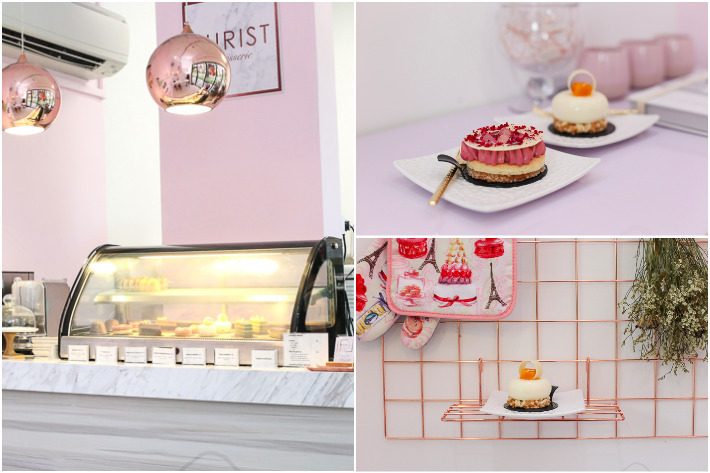 And as if we did not have enough ice cream parlours and dessert cafes, here we introduce FroRoll, a quirky new dessert cafe that recently opened up at The Venue Shoppes along Tai Thong Crescent in Potong Pasir. FroRoll is an artisanal ice cream dessert cafe that aims to bring a refreshing twist to traditional ice cream desserts. They offer a smorgasbord of elaborate and whimsical desserts, reminiscent of something out of a Tim Burton film. Original Cake, Taiwan’s famous Castella cake shop, is opening its first outlet in Singapore on 23 September 2017 at 10.30am. Original Cake is a well-known bakery from Taipei that specialises in Castella cakes. Staying true to their original recipe derived from tradition, they have since come up with new and innovative variations to trump the competition—namely their Frozen Chocolate version that is made with HERSHEY’s chocolate chips that we are all excited for! Having only been established in 2010, they already have four outlets in Taiwan and eight outlets around Malaysia (3 in Penang, 3 in Klang Valley, 1 in Putrajaya and 1 in Johor Bahru); this is a true testament to their success and outstanding Castella cakes. To celebrate its official opening, Original Cake will be giving away free 800 Castella cakes on 23 September 2017 (on a first-come-first-serve basis).